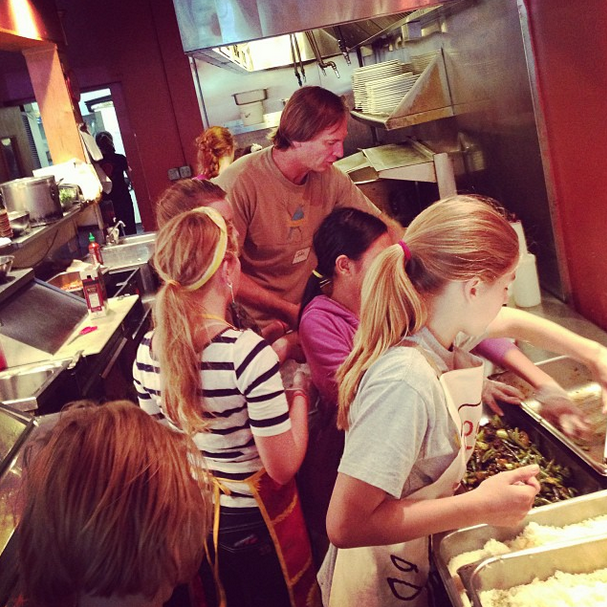 The LWGMS experience is more than just academic classes. LWGMS students have many opportunities to meet as a school, celebrate together, participate in clubs, serve their community, and engage in healthy competition. Every student is a member of a small, multi-grade Respect and Responsibility (R&R) Advisory Group. Lead by faculty and staff advisors, R&R groups comprise “big sisters” and “little sisters” who meet on a weekly basis. All students take physical education in classes designed to teach health, self-confidence, and positive body image. Additionally, a full range of athletic opportunities is offered after school (soccer, cross country, volleyball, basketball, bouldering, track and field, and ultimate frisbee) and most LWGMS students participate in at least one sport at school per year. Many opportunities are also available to explore individual interests through co-curricular activities such as robotics, glee club, dance, coding, and numerous other clubs. LWGMS students are inclusive of others and they value integrity, respect, and responsibility. The focus on social justice, performance and public speaking, and social and emotional learning allows students to use their strong voices and recognize their own abilities to improve their communities. Students at LWGMS know that the school is really theirs and they learn what it means to be part of a community. They clean the building every day, participate in weekly class and all-school meetings, publish their own blog, and run their own parent-teacher conferences. One of the great strengths of the LWGMS experience is the connections students make with their classmates. Because the classes are small and there are lots of opportunities to work together, students learn to embrace differences and find commonalities with people they may never have gotten to know in a larger school. From the first new student welcome celebration to graduation and beyond, an L-Dub student knows that they have a sisterhood of peers and a community that cares about them. The students, faculty, and staff agree that the following rights and responsibilities are ours to uphold and maintain. LWGMS students propose and manage their own clubs. Clubs meet for an hour each week. Take a look at this year's clubs! Our community joins together often throughout the school year to celebrate, to reflect, and to have fun and enjoy each other’s company. Friendship and close connections are hallmarks of the L-Dub experience. Middle school is a time of great change for adolescents: physically, emotionally, and socially. 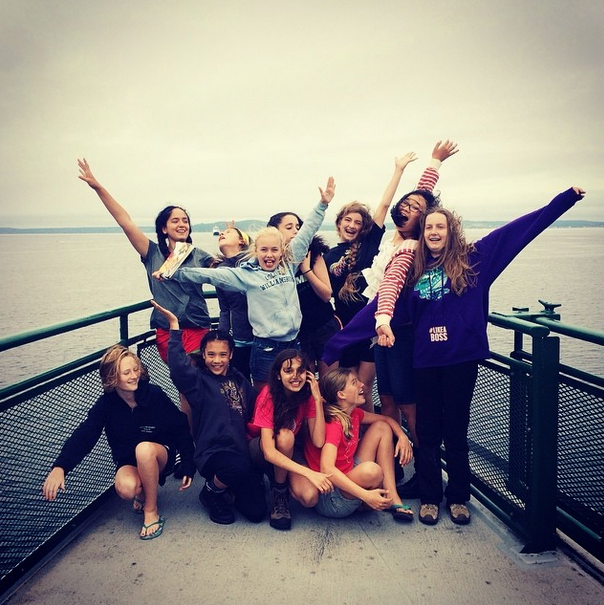 The social and emotional well-being of students is a crucial part of Lake Washington Girls Middle School’s mission. To this end, a concerted effort is made to help students mediate and resolve conflicts; discuss developmental issues openly, safely, and productively; proactively respond to negative interpersonal dynamics and/or behavior swiftly and efficiently; and celebrate successes. Fall term all students meet one-to-one with Student Support staff to set specific measurable academic, social, and personal goals, and create trackable strategies in their effort to achieve these goals. During Winter and Spring Term, students reflect on their progress. They reassess the goals and strategies of the previous term, analyze the factors connected to successes, and challenges of each, and write new goals and strategies or modify old ones as needed. The Student Services Department provides Learning and Life Skills instruction to all 6th graders and to 7th and 8th graders upon request. Learning and Life Skills instruction focuses on all aspects of learning, from organization and time-management to the impact of self-regulation and mindset on long-term success. ARC is an after-school study center that provides a quiet work space, allows for access to school materials, is staffed by academic support staff, and facilitates faculty consultations. ARC staff is familiar with the school culture and curriculum and works closely with Student Services staff to best support students in attendance. Lake Washington Girls Middle School’s outdoor program is one of the unique ways we offer our students opportunities beyond the classroom. Every summer, our teachers lead a variety of outdoor adventures, and any L-Dub student can sign up. We offer a rigorous financial aid package for these trips as we believe that every student should have the chance to experience the challenges and the excitement of living in a small group in the outdoors. The scope of our outdoor education is expanding as we look for more opportunities to support the whole student. Our trips range from novice to advanced, and all expeditions expose our students to new environments and new outdoor and leadership skills. 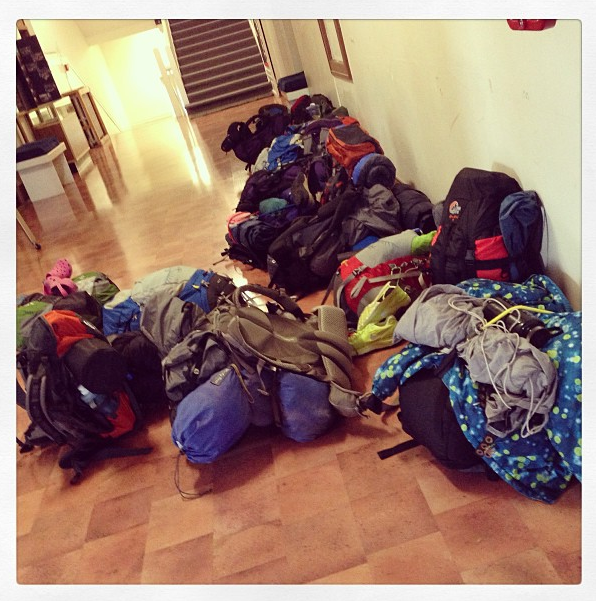 The outdoor program at LWGMS uses the principles of Leave No Trace in teaching students the skills for enjoying the backcountry and the outdoors. We cover all areas of outdoor education including basic first aid, water safety, cooking, map reading, and navigation in order for our girls to develop skills in environmental stewardship, self-confidence, self-sufficiency, community building, and leadership. For beginners, we offer a trip to the Olympic National Park where students hike along the beautiful Washington coast and enjoy backcountry campsites with spectacular views of the Pacific Ocean. For intermediate adventures, students can sign up for a trip to Eastern Washington and spend a week enjoying the backcountry of Lake Chelan Recreational Area and into Stehekin, the heart of the North Cascades National Park. For the more advanced outdoor trips, we have offered backpacking in the Enchantments and in Glacier Wilderness as well as kayak expeditions in the San Juan Islands.